Another reason I love this pie so much is because I carry Aeolus’s grandmother with me in this very recipe. A few years ago, Aeolus and I were in my mom’s kitchen attempting his grandmother’s Sweet Potato Pie recipe. Oh boy. I’d mention in passing that I loved my best-friend’s Sweet Potato Cupcakes and he upped the ante and said, “well wait til you have my grandmother’s pie!” … Wait! Ha! Me? For sweet potato anything? … Yea, not happening! Nonetheless, we drove to the store bought a ready made pie crust (did I mention we were in a rush?) and sweet potatoes. Little did we know that we were missing crucial ingredients! The excitement of making pie sent us to the store without even calling his grandmother! Once we got to the house, we rinsed and roasted the potatoes. I remember piercing each potato with a fork and wrapping them individually with aluminum. I never knew this setup right here caramelizes the sweet potato thus igniting the sweet potato to release its own dark syrupy goodness. Now word to the wise, sweet potatoes take a WHILE to soften. 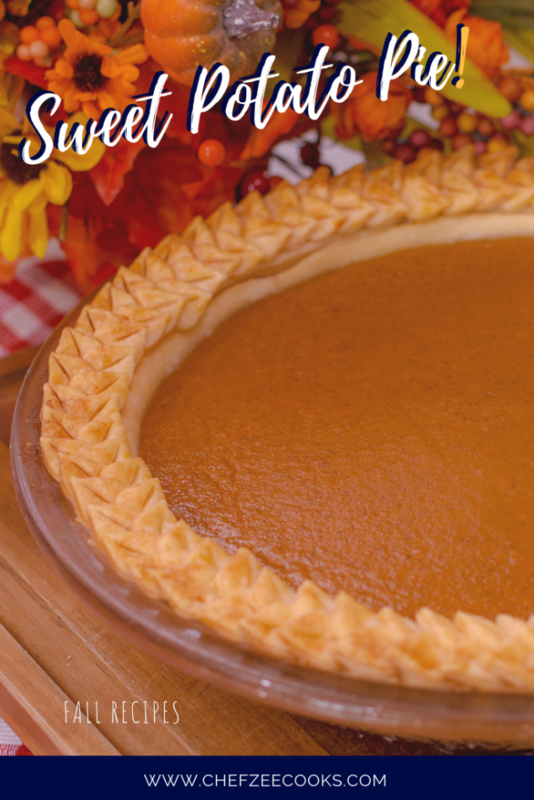 There’s no need in trying to speed this process up because one of the secret ingredients to this pie is in fact that natural syrup that you can only get from roasting the sweet potatoes with the skin on. In the past, I’ve tried to skip corners by peeling them, boiling, dicing etc… and the result? Failure. Therefore, moral of the story: Trust in grandma’s ways! Then we added the evaporated milk and our own special ingredient, Brandy. We searched my house high and low for a something that would compliment this pie. To be honest, all desserts must have a little extra kick– at least according to us. Now I can’t remember what exactly we were looking for, but I know that it wasn’t Brandy. In the end, this is all that we could find and into the pie it went! Years later and I’m still adding Brandy to pies! Fast forward and our pie filling is done! Except, it’s a tad bit running and not quite right! So naturally we add… flour! We add flour to the pie! Right away we cringed and called grams on the phone. It was then that she walked us through her recipe and sure enough it did not call for flour! I remember her laughing at us for that mistake but assured us that we’d be fine. Baking is like that. It’s all about the improvisation! Afterwards, we filled our pie shells and put it into the oven but not before Aeolus gave me sound life advice. He covered the pie edges with aluminum foil claiming, “We not about to burn our pie edges. That’s a rookie mistake!” And let me tell you something, rookie I was not! I have never forgotten that piece of advice and my pie edges have always been snatched! Let’s just forget about the time that I forgot to add eggs into my pie and ended with a Sweet Potato Pie soup! Rookie who? 45 minutes later we took the pies out of the oven. One for me and one for him. We ate them with ready-made whipped cream as Aeolus promised to teach me how to make the real deal on a later date– and that he did! This pie is my favorite because it’s a paused moment in time between my best-friend, his grandmother and I. Since my grandmother passed, I secretly cherish everyone else’s grandmother as though they were my own. It’s the same way I feel about my Mango Pepper Sauce. It’s a recipe that will forever be tied to my other friend’s grandmother. Forever an inquisitive child, I strive to always be a pupil. Our friends and family are gifts and time is not forever nor is it guaranteed. I show my love through food just as my grandmother showed me, but I receive love through food as well! 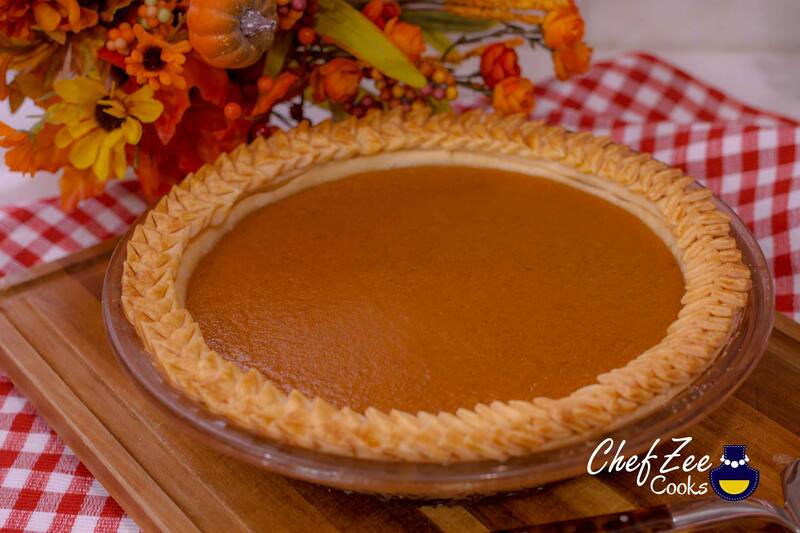 Now before we jump into this AMAZING Sweet Potato Pie Recipe, know that the pie that Aeolus and I made years ago was far from a struggle pie! We may have not have had unsalted butter, and we may have even been heavy handed with the Brandy, but in the end, we ate it all sans complaints! As the years passed, I’ve evolved this recipe and will definitely continue to do so as I grow. At its core, this pie will always be akin to the one we made years ago in my mother’s kitchen!